Last updated 03 April 2019 . By Faith Strickland. Ahoy me hearties, there's some buried treasure to be found at this pirate-themed immersive bar and experience. Shiver me timbers, Captain Morgan has teamed up with wacky set designers Bompas & Parr for an incredible pirate experience, running from February through to April. The events company - whose previous work includes giant jelly structures, an immersive ice-cream museum, and an inhabitable cloud of gin and tonic - claims this is its biggest project to date, along with being the world's largest underground boating lake. Hidden in a secret location in Central London, The Lost Lagoon will be a gigantic lake, which aspiring buccaneers will have to navigate, passing islands and looking for rum rations in the process. Once you've collected your bottles of rum, X marks the spot to Captain Morgan's island and the final stage on mixing your rum punch, a cocktail the event hopes to bring back into fashion. 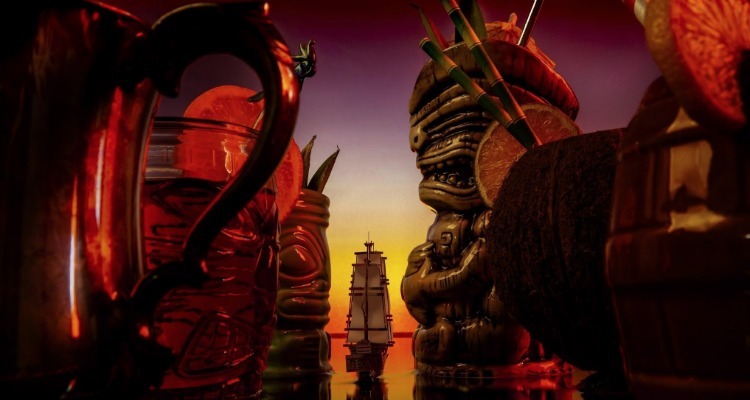 Bringing the pirate theme into 2019, there's a Neo-Tiki theme, alongside touches such as a whirlpool cocktail station, beach-inspired nibbles, and entertainment. The Lost Lagoon will open at a secret location from 1st of February until 7th April 2019. Tickets HERE start from £20.